A little girl who suffered from a rare condition causing such debilitating and dangerous seizures she was put into a coma has been cured by cannabis. Her mother, Maryann Estrada-Lujan, told KVOA : “One day, she was just a healthy young lady, going to school, participating in her community and her gymnastics, and the next day - fighting for her life. “She was put on a ventilator, and put into a medical coma, and, we haven't talked to her since. 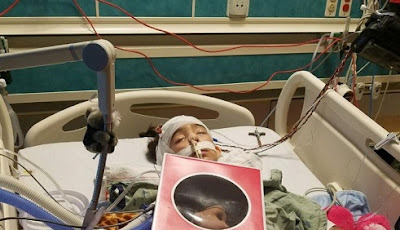 After just three treatments the schoolgirl, from Tuscon, Arizona, was able to be brought out of her coma, and no longer suffers from the crippling seizures.